Maintaining your home can be an expensive business. However, sometimes home repairs just can’t wait, and at other times they can save you money in the long run. The trick is to know which repairs need to be made when – and how to get them made economically. This isn’t difficult to do – all it needs is a little knowledge and planning. If you are thinking of making some home repairs, here are some great ideas to get the job done economically and well. If you enjoy working around the home, DIY is a good approach for a number of different types of tasks – and it can save you lots of money. For instance, if you really need to replace the cabinets in your kitchen because they are damaged, then this is a perfectly reasonable DIY project. However, unless you have a lot of experience, it’s not a good idea to tackle projects that are dangerous or require expert skills. Major plumbing and electrical work both fall into this category – unless you know what you are doing, it’s best to call in the experts. 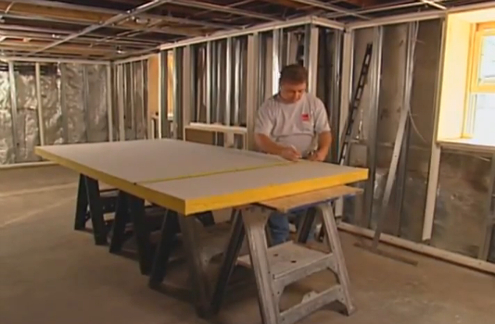 If you are about to take on a DIY project, then don’t make the mistake of just diving in. There are lots of good online resources and books that can tell you how to go about any particular home repair, so do your research before you begin. This may take a little extra time, but a botched home repair can mean having to do the same work all over again – which is going to cost more. Also make sure that you have the right tools for the job – in fact, if you are going to do a lot of work around your house, it makes sense to invest in a properly equipped tool chest and some basic power tools. You can save money on these as well – for example, if you look online you can find deals for Harbor Freight Tools. If DIY is not your thing, then you can still save when you get someone in to make repairs. First of all, don’t wait until the last minute – if you have to call someone in an emergency, then this will cost you big bucks. For instance, if there is a small drip under the sink, have a plumber look at it before it turns into a torrent. This will also give you time to shop around for quotes rather than taking the first one you get because you are desperate. It always makes sense to get at least three quotes if you can, but don’t just assume that you should take the lowest price. A poor job isn’t worth anything and it will cost you both time and money. Try to get friends or family to recommend someone, or take a look on a site such as Angie’s List to find good contractors in your area. 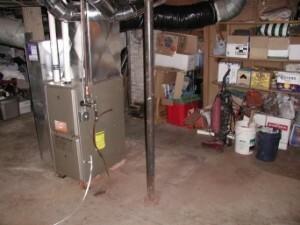 Even if you do hire a reputable contractor, it still makes sense to know the basics about what they are going to do. If you put your car in for repairs, you don’t blindly accept what the garage says needs to be done – and you shouldn’t do this with your house either. Again, do a little research first and then ask the contractor exactly what they are going to do. Make sure that what they say makes sense. If it doesn’t then get a second opinion – this can save you significant amounts of money on unnecessary repairs. Also make sure that the contractor includes all of the necessary work on the quote you get from them, and check they have given you a fixed price. This way, you can prevent budgets from getting out of control and your money flying out the window. Also, keep in regular contact with the contractor as the job progresses so you can step in if things start to go wrong – it’s cheaper to prevent the problem than to fix it. Finally, if you have a lot of house repairs that need to be done, prioritize them. For example, if the paint is peeling badly on your wooden window frames, put this high on your list – if water gets into your window frames, you may have to replace them. 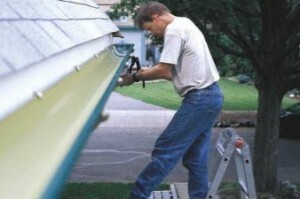 Similarly, if your gutters have problems and are backing up, get these fixed before the winter sets in. If you don’t, the water can freeze and back up into your roof, which can cause lots of damage.